So I couldn’t stand it. 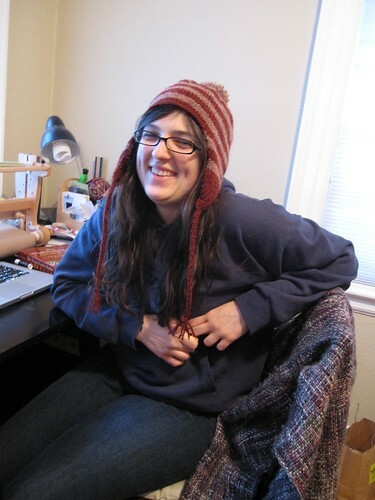 I ripped back the hat to before I started the decreases and reknit it so it would be longer. And guess what? I love it now! I also added some i-cord ties hanging from the earflaps with tassels on the end and a pom pom on the top. The pom pom really makes the hat, I gotta tell you. See? I covered my face because I was getting sick of trying to get a good shot that made my face look good AND had a good view of the pom pom. Here’s one where I look OK, you just can’t see the full glory of the pom pom. 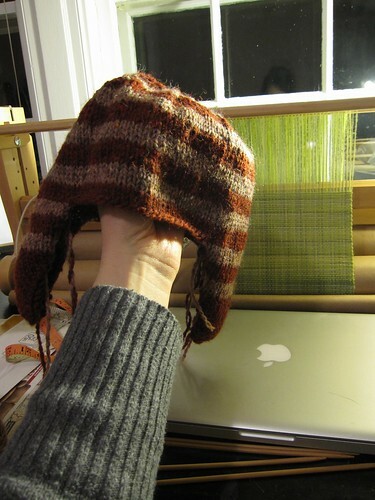 I’ve started on making the copy of this hat for Chris. I still need to block my hat, but I hurriedly wove in ends and made a pom pom this morning so we could go on a walk by Lake Superior. It’s been too long since I’ve been on the lakewalk, even though it’s winter. 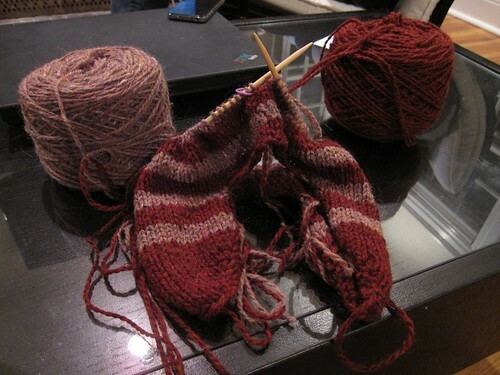 I finished the hat tonight while watching the newest episode of Castle. 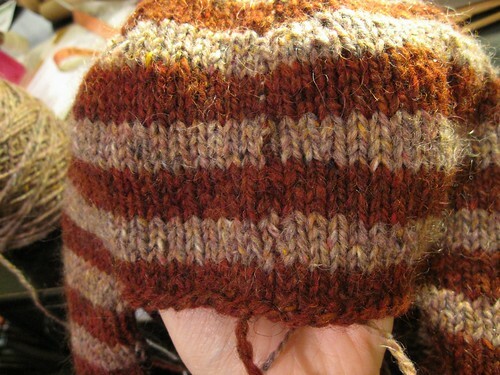 It’s still not finished finished, but the hat portion is done. 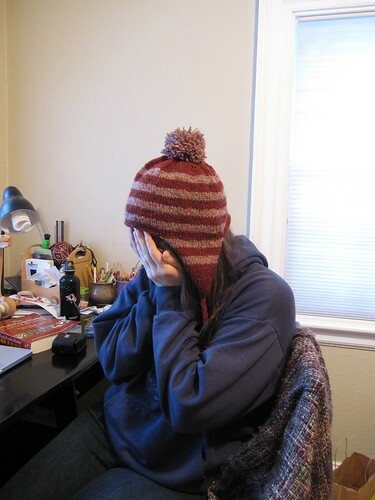 I need to weave in ends, put on a pom pom, and add some ties with tassel ends to the ear flaps. Chris loves it already and is threatening to steal it. Now, excuse me while I go weave in some ends. The perfect thing to do when Chris and his friend sit on the couch, play Assassin’s Creed 2 and talk about cars.